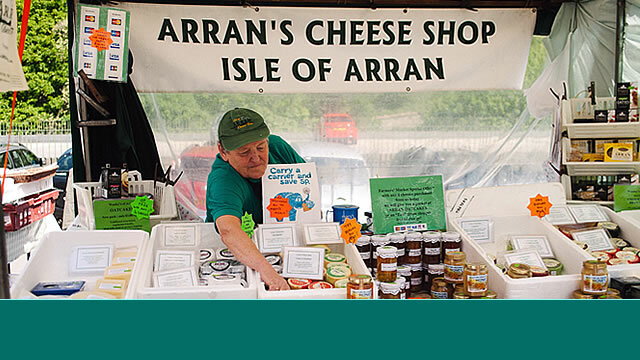 This page offers a range of resources for newly established small food businesses. This resource page is part of our Making a Living from Local Food programme. It is a work in progress, so check back to find more content posted here over the coming weeks. Hazel and Kenneth participated in Making a Living from Local Food 2018. They developed their newly built Farmshop near Cunningsburgh, approx. 10 miles from Lerwick on the Shetland Islands. Find out about how they grew from a road-side honesty box for selling surplus eggs to employing a dozen staff in just over five years and what Nourish’s support has helped them achieve in 2018. Bas and Emma participated in Making a Living from Local Food 2017. They took over a small growing business in Roseisle Gardens near Elgin (NE Scotland). Read what they have been doing and how they developed their business whilst on the programme. Anne and Rod also took part in Making a Living from Local Food 2017. They grow mainly salad hydroponically. SaladBrew is near Kircudbright in Dumfries & Galloway. Read about their successes and challenges. You can connect with other small new food producers through this Nourish Making a Living from Local Food -Scotland Facebook group. The Scottish Farmland Trust aims to increase access to land for small-scale, ecological agriculture by purchasing land to be held in trust and rented fairly to new entrants and young people. The Future Farming Scotland programme of the Soil Association runs events exploring low-input, sustainable approaches to farming, ranging from farm walk-and-talk sessions and in-depth workshops through to longer-term field labs. The Slow Food Youth Network Scotland is a budding network for young producers, food entrepreneurs and food activists in Scotland, part of a global network. Common Good Food is a new organisation that is a practical advocate of food sovereignty in Scotland. Farmhack is a worldwide community of farmers that build and modify their own tools. Regenerative Agriculture UK (RAUK) connects farmers, smallholders, and other interested parties with leading pioneers and trainers/experts in Regenerative Agriculture – via short courses, seminars and workshops, and by facilitating collaboration and peer-peer learning. This section introduces different types of business structures and what makes them viable. It includes information on Community Supported Agriculture (CSAs), community cooperatives and social enterprises. CC Mihaela Bodlovic for Edible Edinburgh. The Plunkett Foundation Resources pages include lots of useful How to’s for setting up community cooperatives; from business planning and development to legal structures, health and safety, product marketing and processing, and more. In this section there are checklists, examples and templates that prompt the sorts of questions that can be asked at different stages of business development. These will help with planning and forecasting, and with decision-making. Some of the templates are also useful for carrying out a business review / assessment either for shorter term or for longer term purposes. There is a wide range of material in this section, from detailed spread sheets of ‘business speak’ to short plain-language personal accounts. Most of the items are applicable to both growing businesses and businesses of other kinds, as noted behind their titles below. Business Plan Guide A short handout listing the kinds of questions that make up a comprehensive business plan. How to Create a Business Plan Detailed powerpoint presentation. The examples in it are taken from growing businesses, but this content is still useful for any food business. Long term goals and business strategy Twenty Questions to ask yourself about the longer term development of your business. People Development Loops Two simple diagrams that show customer and staff development cycles, i.e. they explain the sorts of things you need to consider when thinking about your customers and your staff and their development needs in the longer term. Ensuring that there is demand A simple diagram that lists a handful of factors you need to consider around keeping your business viable in the longer term. Managing Customers And Orders A couple of pointers to get you started on working with customers and orders. Taking Your Bearings Ten short tips for keeping track of the personal side of your business project. Self-Assessment Chart for Checking Investment Readiness This is an elaborate table which provides detailed criteria against which you can assess your business’ organisational development, its financial health, its social impact, and the quality of your business model. Each of these headings lists a handful of criteria which are bench marked so that you can rate the status of your business on a five-point scale from ‘unsatisfactory’ to ‘excellent’. The language is quite technical (‘business-speak’) and is generic – it can be applied to any type of business. Personal account of running a small horticultural business This short reflective account describes the development of a growing business and the personal considerations at each stage. The example is of a horticultural business, but these reflections could apply similarly to different kinds of businesses. Product Distribution How to’s A long powerpoint presentation that explains all the factors that come into play around product distribution. The examples are about a growing business, but a lot of the advice is equally relevant to other kinds of businesses. The Business Gateway website has lots of useful generic material on a wide range of things including business planning. Specifically there are Business Guides on topics ranging from ‘First steps’ to ‘Sales and marketing’, ‘Employing people’ and lots more (see the tabs along the top of the page). We recommend that you have a good browse. The Business Model Canvas Is a well-known tool to help assess your business used widely in the business world. If you can handle the business speak, it is generic enough to handle all kinds of contexts. The Plunkett Foundation Resource pages have already been mentioned above in the ‘Business Models’ paragraph as a great set of ‘How tos’ on a wide range of community business matters. The resources in this section will help with keeping on top of financial activity and inform making business decisions such as when you are planning ahead and reviewing the effects of changing circumstances. Cashflow Questions The kind of questions you may ask yourself about your cashflows on a regular basis. Product Pricing Sheet Template. An empty template in which the titles of the rows and columns suggest the kinds of things you may want to record. Cashflow Example. A completed example of a spreadsheet that records different crops and livestock types. The Scottish Rural Network run a Funding Search tool and send out a weekly funding bulletin. The Scottish Government Rural Payments and Services pages explain the different sources, eligibility criteria and processes for applying; and gives you access to all other rural services that the Scottish Government provides. This includes things like registering your property, inspections, links to your local area office, and general news and updates about Scottish Government funding. The Farm Advisory Service has a programme that also offers mentoring to new entrants, runs courses and all sorts, much of it is offered regionally and for free. At least one of Nourish’s mentors are also involved in the FAS’s mentoring scheme. If you are running a Social Enterprise, Firstport Scotland may be able to help with business advice, start-up funding and/or mentoring. They run different programmes for enterprises at different stages and also have other projects on particular topics. Familiar with things like HACCPs? You will need to engage with these processes and it is very likely that you will also have to show that you are doing so to others periodically. This section will help with knowing what questions to ask yourself and keeping records. It has examples and templates for veg box growers and food processors. Box Growers HACCP Plan Example gives full details of the risks identified, the likelihood of these occurring, the severity of each, and the control measures that need to be followed for each, at each step in the lengthy process from growing to harvesting to storing, packing and delivering a weekly vegetable box. The Example of an HACCP Plan for Preserves Processing does the same as the above item for the supply, storage, preparation, cooking, packing and labelling, storage and despatch of preserves. Processing and Packing HACCP Plan Template is an empty form that asks you to make an HACCP plan for your own product by identifying each individual step between storage and distribution. It prompts you to specify for each step the hazards involved and the control measures you intend to put in place for it. The Personal Hygiene Policy Template for Processing and Packing provides prompts for drawing up a personal hygiene policy that applies during processing and packing products in your own context.